Preheat an oven proof pan over medium heat with butter or oil and garlic. 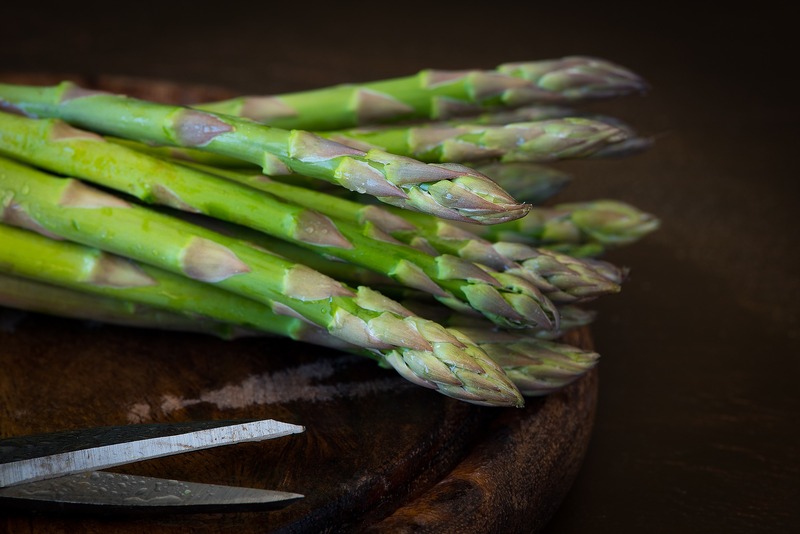 Snap woody ends off asparagus and discard. Snap asparagus into 2 inch pieces into pan and heat through until tender. Mix eggs, water, salt, pepper, minced onion and parsley in a bowl then pour over asparagus in the pan. Cook in oven 10-15 minutes until done. Top with Tabasco and serve immediately.